Trauma Void™’s EQ3™ helmet is the wave of the future and the next step in brain protection technology for the equine industry. The most important component of the EQ3 helmet design is the incorporated Multi-Directional Impact Protection System (“MIPS”) technology, which has been used in bike, motor, and snow helmets for years. Safety may be the first priority of Trauma Void’s EQ3 helmet, but it has also been designed for comfort, style, and affordability. The design features a removable and washable COOLMAX® lining inside with great ventilation. Multi-Directional Impact Protection System (MIPS) technology has been tested over countless hours and is proven to offer better protection against rotational motion than a helmet without MIPS. Since 1996, research and tests have been performed to compare a helmet with the MIPS Brain Protection System to a conventional helmet. The results showed that it was possible to redirect and reduce the rotational motion transmitted to the brain by adding the MIPS Brain Protection System. These tend to run small we recommend rounding up to the nearest cm and then go up one size. 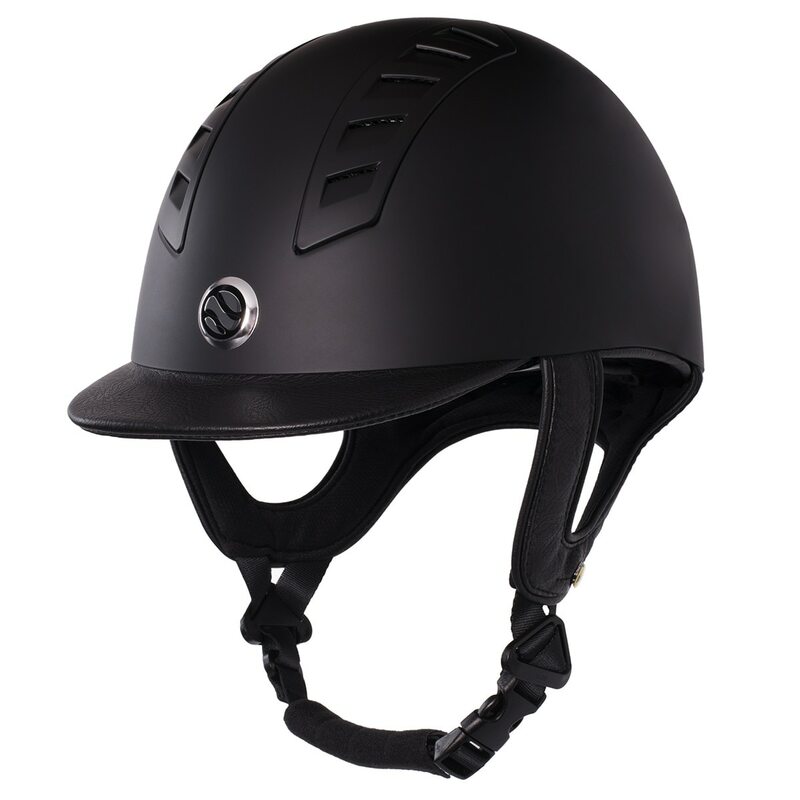 Trauma Void EQ3 Smooth Shell Helmet is rated 4.5 out of 5 by 13. Rated 5 out of 5 by Daphne from Most comfortable helmet I've ever worn! I tried the Trauma Void at this year's WEG and was really impressed by the safety technology and its comfort. For the price it was worth the gamble (my previous helmet was $600+), and I'm so glad I did. It's really comfortable and flattering! Rated 3 out of 5 by a2wd from Doesn’t fit :( I wanted to love this helmet. I really did. I was particularly interested in it because of the high safety ratings and new MIPS technology. (And thanks to International Helmet Awareness Day, I got a great deal on it!) The helmet style is lovely and has a good profile, but it just didn’t fit. The 7 1/4 fit my head circumference but was much too shallow for the top of my head. The 7 1/2 was a much better depth but had too large of a circumference. Also, the chin strap was weirdly long, and I had to shorten it all the way for a decent fit. Sadly, SmartPak doesn’t carry the 7 3/8. Was so disappointed this didn’t work out!! Rated 5 out of 5 by Bja218 from Amazing! A must own helment! Bought this helmet just recently and actually had a crash last week. I have had crashes in other top brand helmets, and have walked away with headaches and neck aches. But not with this helmet! The only part of my body that did not hurt was my neck and head! And I landed directly on my head!!! I used my right hand to help break my fall ,which resulted in a badly broken collarbone. But, my head was great! Catscan came back clean and I have not gotten a headache or neck cramp. Highly recommend this helmet!!!! Rated 4 out of 5 by tigardanna from Nice helmet! Nice helmet with great features but didn't fit my daughter's rounder head so will need to return. Rated 5 out of 5 by Horses28 from Love the way it fit and very comfy. Would recommend it. Rated 5 out of 5 by Shana from Great helmet that doesn't look huge on your head! I bought this a few weeks ago and I really am liking it! You can take the inside out and wash it, the helmet comes with 2 insides too! Rated 5 out of 5 by Elena from Nice but not my fit This seems like a very nice helmet just didn't fit my shape of head correctly. I tried several sizes but not go. Rated 1 out of 5 by goss7414 from I really wanted to love it The helmet fit well, looked great BUT is squeaked and creaked terribly. No squeaking while sitting still but the posting trot and even worse the sitting trot was a squeaky nightmare. I tried both liners and the second liner made it squeak even worse. I'm just not sold on the technology and safety of the helmet because of this. Sending back and will be getting something else. 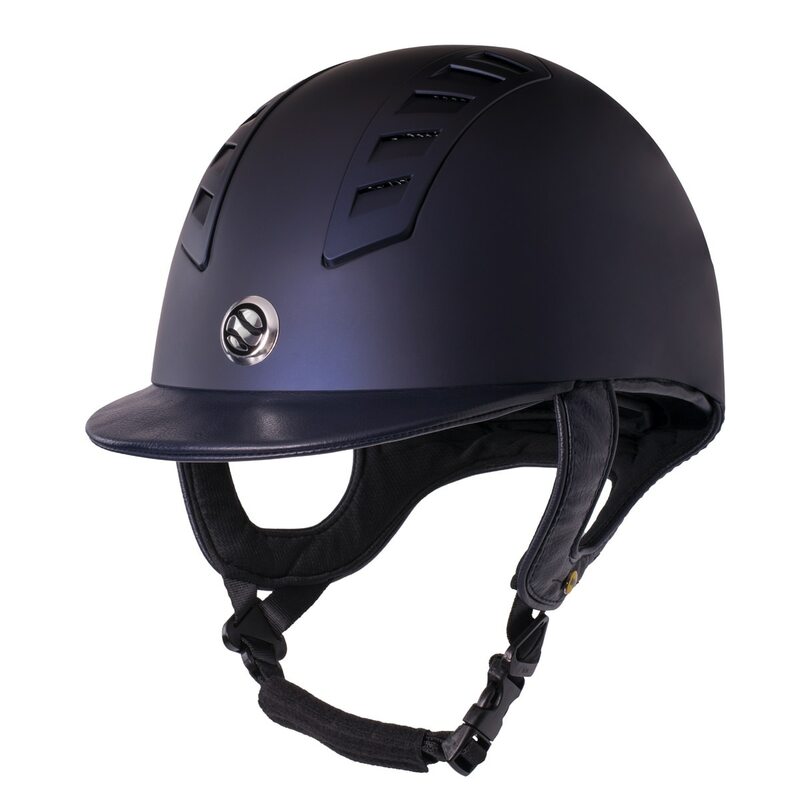 Rated 5 out of 5 by Kathy from Very comfortable Helmet is comfortable, does not shift in motion at all! Only one problem--your measurement of your head must be very accurate to get a good fit. Had to return my "first try" and exchange it. Rated 5 out of 5 by Mother Goose from Love this helmet! This helmet is so comfortable and light, and the added safety features mean a lot since I've had multiple concussions and a Traumatic Brain Injury. Fits like a glove!